We talk a lot about marketing tours and activities, and sometimes we get asked which email marketing tools are best to use. Here’s a quick rundown of 3 popular email marketing tools that you will likely come across in your search. 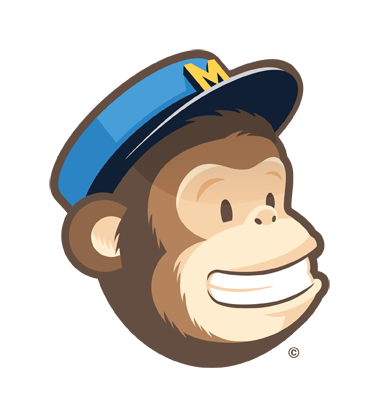 Many of our customers are already using MailChimp. It’s probably the most well-known of the email marketing tools, with over 7 million customers. Wide variety of designs to choose from. Reporting is excellent, and you can even see results via heat maps. Gives you benchmarks of metrics against others in your industry (industry average), and others in the list you sent the email to (list average). New subscribers have to opt in twice (by clicking a confirmation link in their email). You can’t send one campaign to multiple lists. So if you have 2 lists – customers in area A and customers in area B – you would have to create a whole new list merging both of them. Forever free version is available for up to 12,000 emails and 2,000 subscribers. Pricing ranges from $10 per month to $525 per month based on how many subscribers and emails you’ll send. For more detailed pricing information, click here. Another popular email marketing tool is GetResponse, who have a customer base of over 350,000 people. Excellent quality designs, and over 500 to choose from. Can easily set up auto-responders (for example, when a potential tour booker fills out a contact us form on your website). The ‘Time Travel’ feature allows you to make sure all recipients get the email at a certain time in their time zone. This means it’s smart enough to make sure people in Japan get it at 9am, and people in Australia get it 9am. A great educational blog for email marketing tips. When people subscribe to your RSS feed, you can only send them a summary of your posts instead of its full length. A range of options are available from small to enterprise businesses, based on number of contacts. It ranges from $15 per month all the way up to $450 per month. There’s a 30 day free trial. Constant Contact have over 500,000 customers to date, and have delivered over 30 billion emails. They are strong with the area of event marketing. Over 400 custom email templates to play with, but you also ahve the open to use a blank template or code directly. Great metrics and reporting data. You can track email forwards and social shares. An educational blog with email marketing tips. To send surveys, there is an additional monthly fee. Starts from $15 per month to $85 per month up to 10,000 contacts. Any more than that and you’ll have to get a custom quote. There are discounts available for pre-paying annually and if you’re a non profit. There’s a 60 day free trial. All of them also work with Zapier, which integrates with Rezdy. This means that through Zapier, you can automate tasks between Rezdy and MailChimp, GetResponse, and Constant Contact. Click here to install the Rezdy Zapier app.